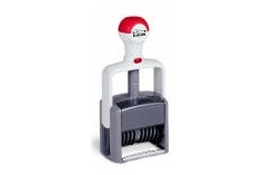 These sturdy stamps, for use with stamp pads, incorporate the text of your choice around a central date. 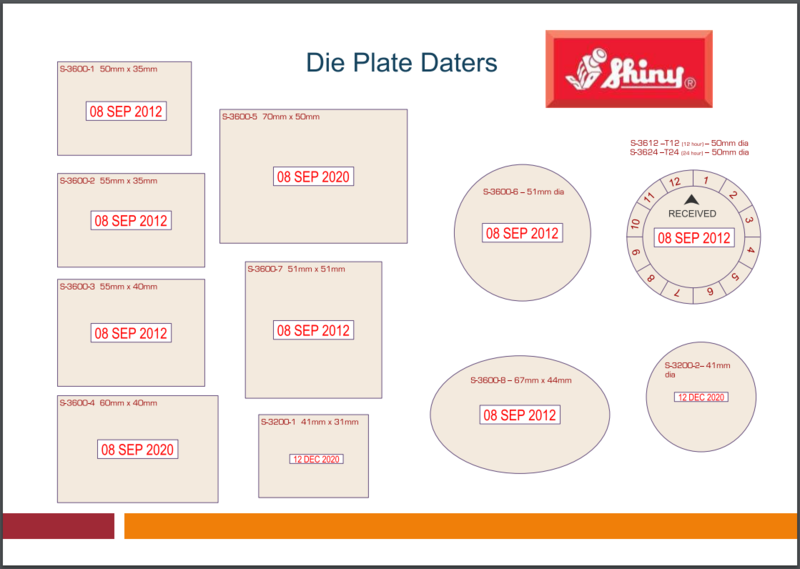 The drive wheel allows the user to set the date smoothly and easily. 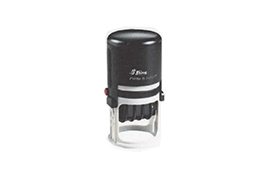 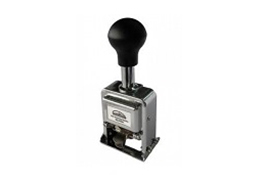 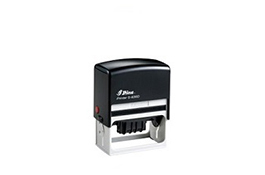 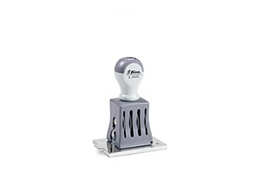 The Die-Plate Dater features a lock that ensures a more convenient use of the stamp.